Dating Pro team presents the updated – and free! – step-by-step guide for everyone who wants to start a dating business online. 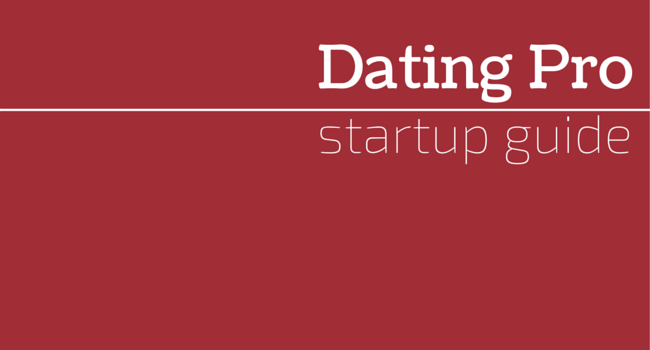 Get the tips on how to start a dating website in PDF format. The new version of the startup guide by PG Dating Pro includes over 50 pages and covers many aspects of online dating business, from the time an idea is born through creating a business plan to promoting your dating site in search engines and social networks, and obtaining and retaining customers. ✓ Getting started: where to begin, how to determine your target audience, monetization strategy. ✓ Building a dating site: how to choose the best platform for your site, hosting and domain name selection, site branding. ✓ Search engine optimization: internal optimization of the site including keyword research, meta tags, page ranking tools, and more. ✓ Dating site promotion: online and offline advertising options, social media, PPC (pay-per click) advertising model, banner exchange, articles, affiliate marketing, and much more. ✓ Monetization: details on how to profit from your dating site, including use of paid services, contextual advertising, and affiliate programs. ✓ Customer retention: methods of attracting and retaining site users, such as contests, blog posts, email marketing, and some unconventional advice. This e-book will be of use not only to online dating entrepreneurs but to all those who want to start their online business in other industries. We are excited to share this list of tips and tricks with you. Click the link below to get your free startup guide right now. Let us know what you think, we’ll be happy to hear your comments.